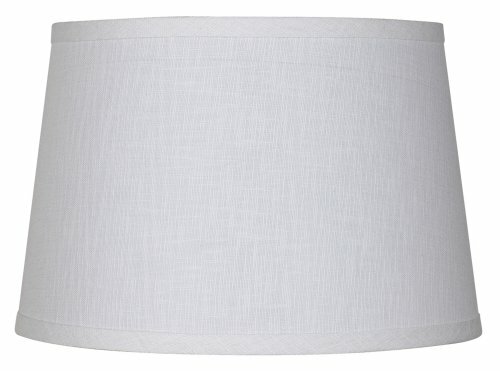 The white linen of this hardback drum shade has classic appeal. A stylish upgrade for your decor. Chrome spider fitting completes the look. - 10" across the top x 12" across the bottom x 8" high overall. - Chrome finish spider fitter. 1/2" drop. - This design is from the Brentwood brand of lamp shades. - White linen fabric, chrome finish spider fitting. - A great design for customizing with your own trim or decorative elements. This design is from the Brentwood brand of lamp shades. White linen fabric, chrome finish spider fitting.